The Philippine disaster government agencies 'National Disaster Risk Reduction and Management Council' announced the total deaths from the heavy rain brought by the southwest monsoon enhanced by tropical cyclone "Haikui" are now at 60. It was started last Sunday evening when the heavy rain falls down in most parts of Luzon. NDRRMC also mentioned the seven people who remained missing and at least 539,838 families where affected by heavy rains and massive floods. 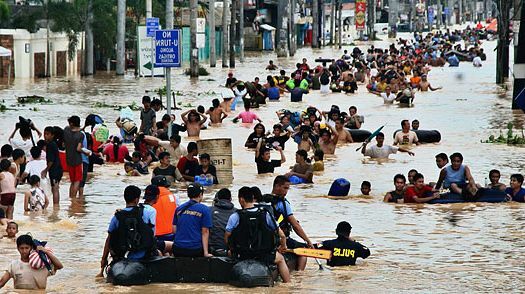 The 95 cities and towns from Metro Manila, Ilocos, Central Luzon and Southern Luzon are suffered from severe flooding. - Reynaldo Haipit, Brgy. San Jose, Rodriguez, Rizal, drowning. Comments or suggestions about "Philippine Southwest Monsoon Death Toll now at 60" is important to us, you may share it by using the comment box below.